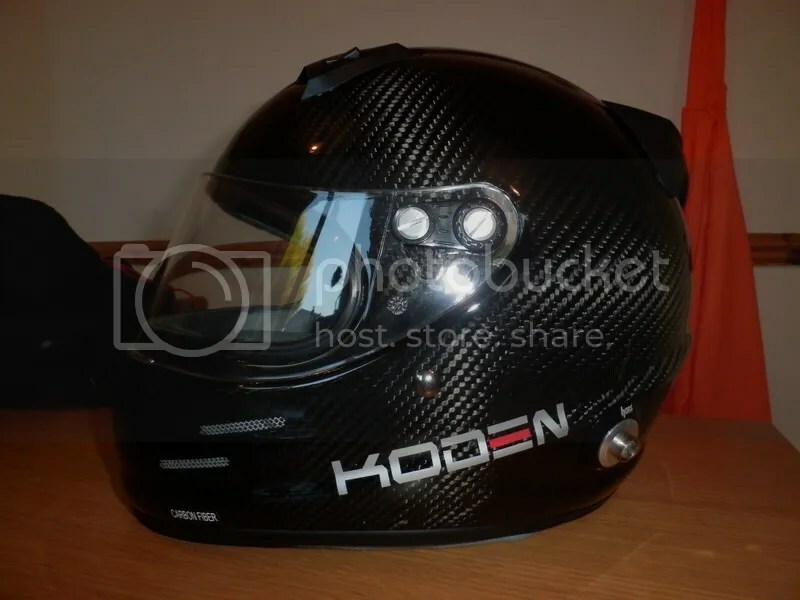 As mentioned in my previous blog, the brilliant Koden KSC25 Carbon helmet comes with a few accessories. 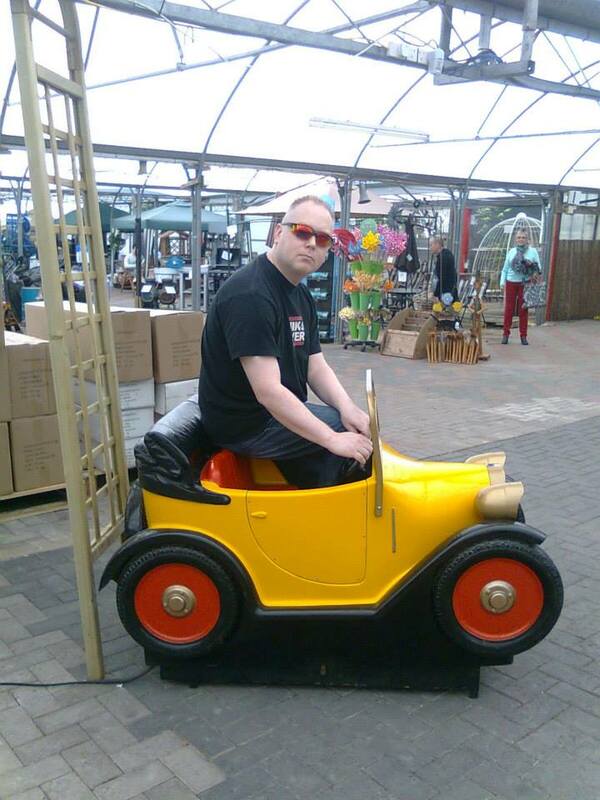 The peak is of no use to me racing an open single-seater, but I’m sure is great for rally drivers etc. The spoiler, however, was of interest to me. 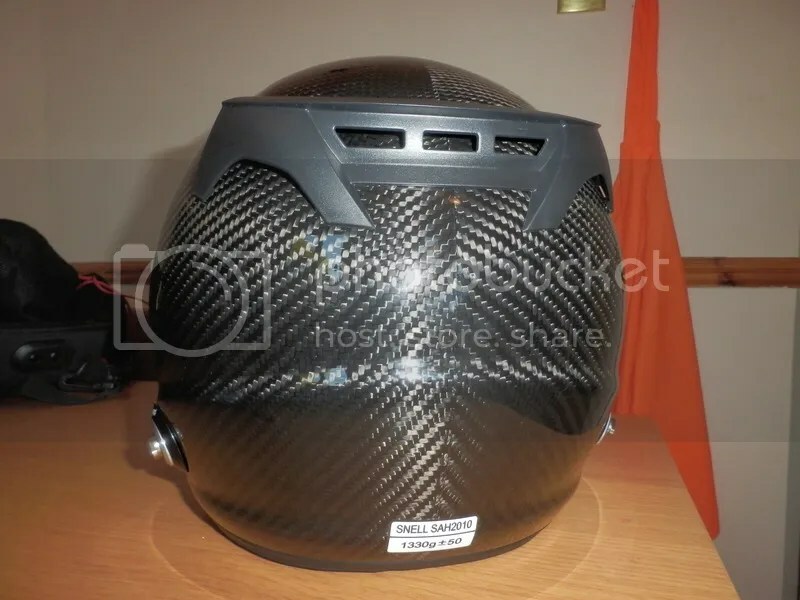 As a very good and very cheap helmet, I’m sure a lot of people will be buying these, but, not many will want to get them painted up because it’s The Law to keep your carbon weave on show! The spoiler and the peak come with ‘sticky stuff’ around their edges, so you just peel the tape off and stick it onto your helmet. 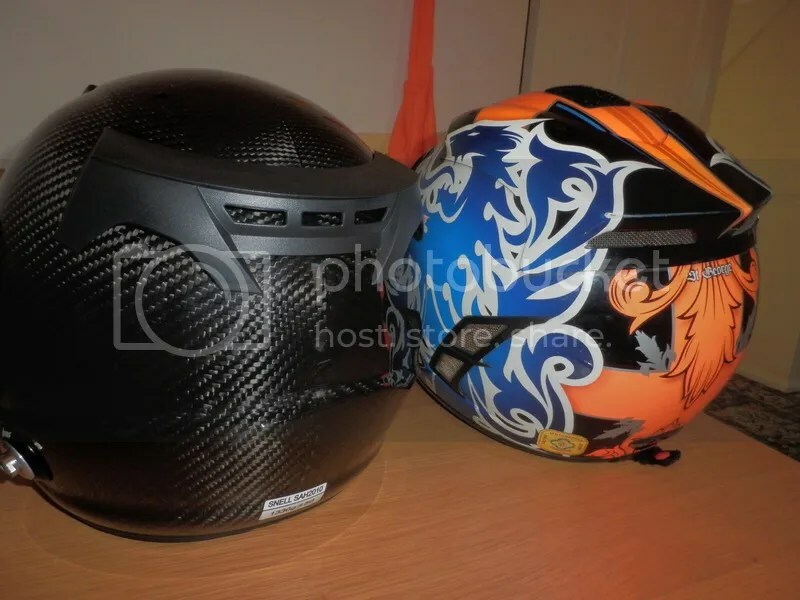 There are no images I could find online of a helmet with either accessory actually attached! I’m sure the spoiler is more cosmetic than anything, but as a biker I appreciate the need to have vents and peaks and all kinds of nonsense hanging off your helmet. It just looks better! 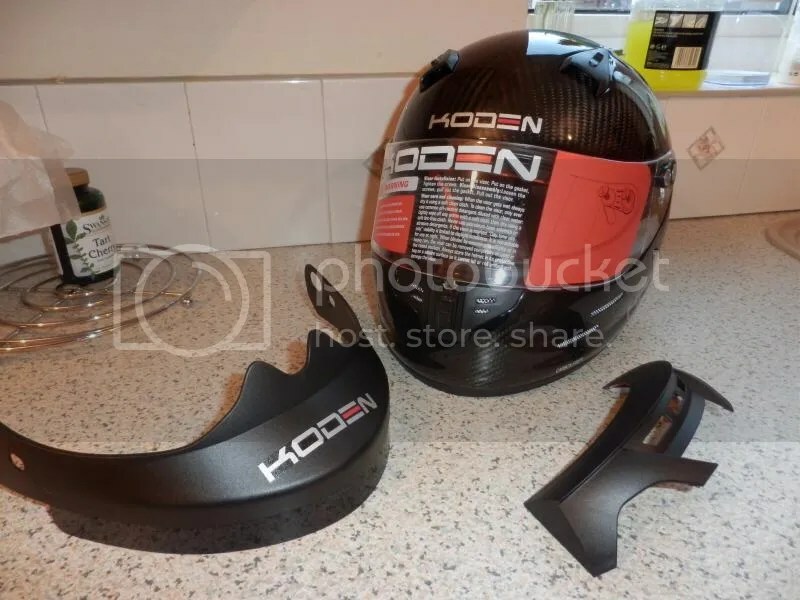 Many helmets boast about their anti-lift properties (meaning the air won’t get under them and lift them up at high speed), and the Koden spoiler may have some kind of effect here. 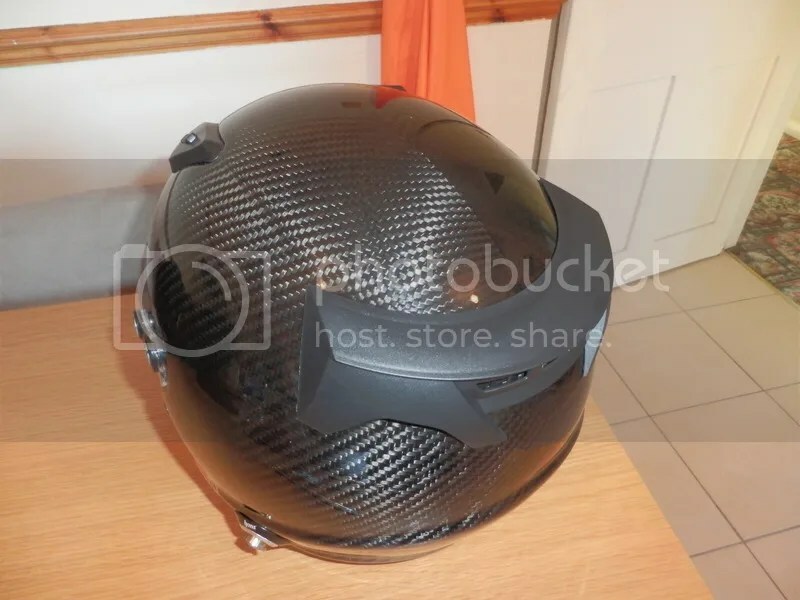 Looking at my trusty AGV Stealth motorcycle helmet, though, I suspect it’s more to aid the exhaust vents on the back of the helmet. I’ve already seen a few weird and wonderful placements from races this year, and as I said, I don’t think it REALLY matters, but by my logic and experience, this is how it’s supposed to go. I suspect most will just leave the KSC25 bare and not have to guess! I am planning on a few small stickers with my name on to stick on the helmet – but am also conscious that scrutineers don’t like helmet stickers as they might be covering something up. Oh, and please before you go sticking anything on your brand new helmet – SIT IN YOUR CAR! You’ll be gutted if you go sticking stuff all over it only to find you can’t get your head on your head rest anymore! 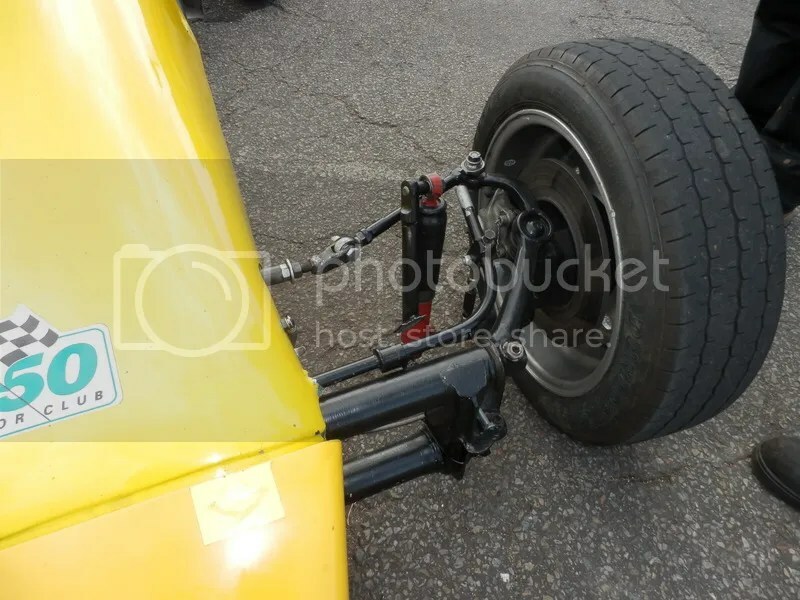 If you’re driving a Sheane Formula Vee – you’re fine to use it. 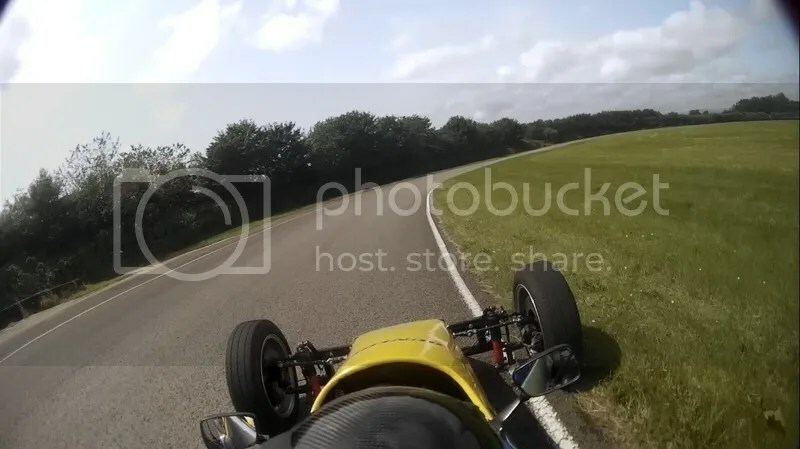 First HANS in a Sheane Formula Vee! Well, maybe not technically the first one ever, but the first time in this Sheane, anyway! 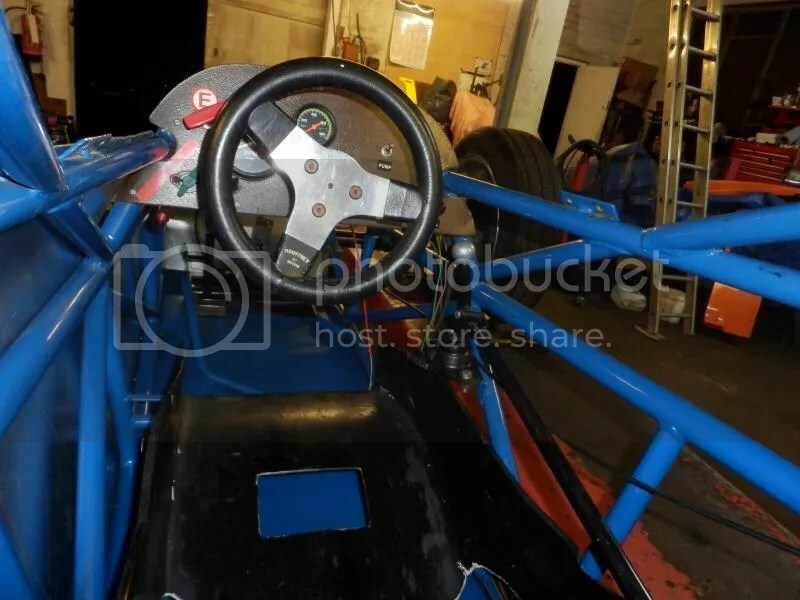 The MSA rules for 2015 state that all single seater drivers in cars made from the year 2000 onwards must use a frontal head restraint system, with pre-2000 cars being required to use them from 2016. This means Glenn’s 1997 Sheane that I’ll be driving is exempt, however, after writing my previous blog about this, I decided (and my fiancée ‘told’ me!) that I’d be a fool not to be using one right from the start. 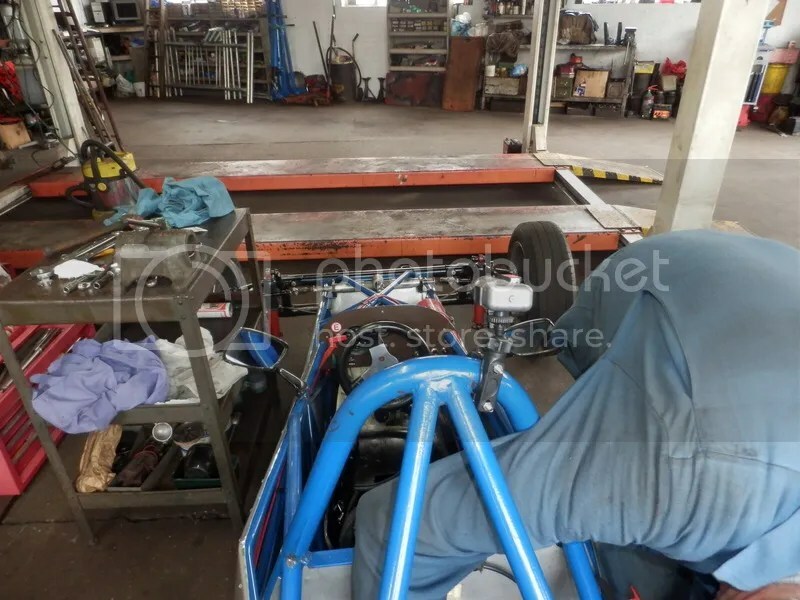 The first problem here is that these devices (which I’ll call HANS from here) come in various angles to suit seating positions – so 10 degree is for Formula One, through to 40 degrees for bolt-upright seats such as truck racing. 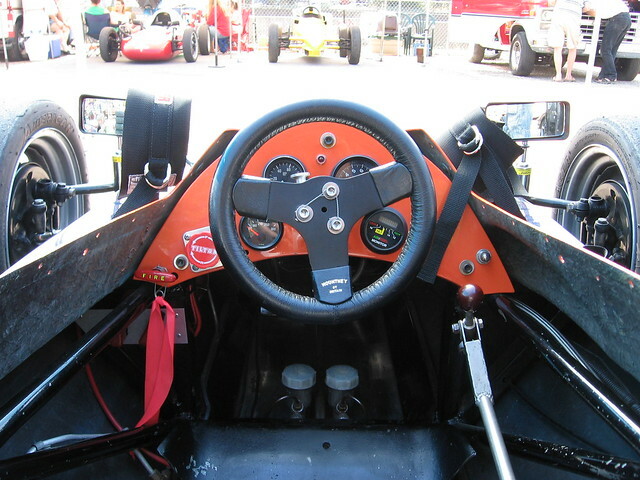 Most single-seaters will need 20 degrees, but there’s no real way to find out which you need until you sit in the car with it on. 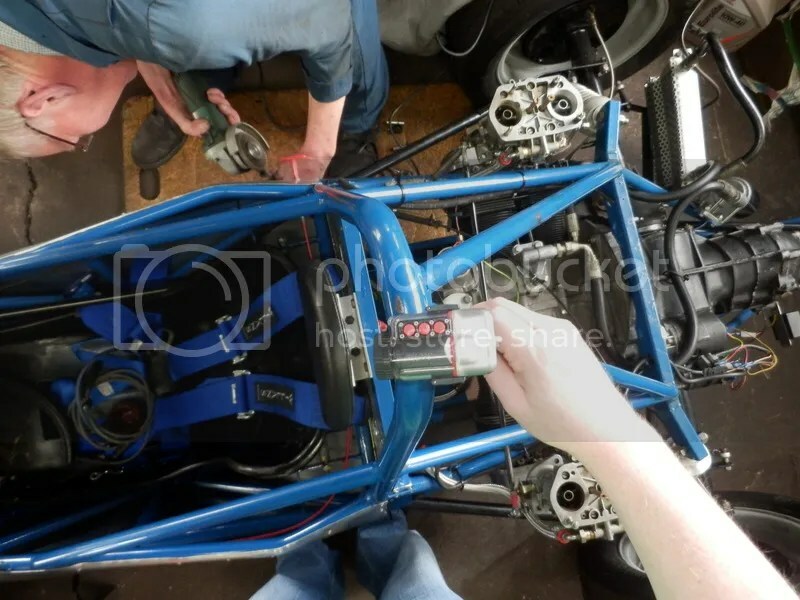 Secondly, compared to the 30 degree HANS used for most saloon car racing, the 20 degree kits cost at least 50% more. 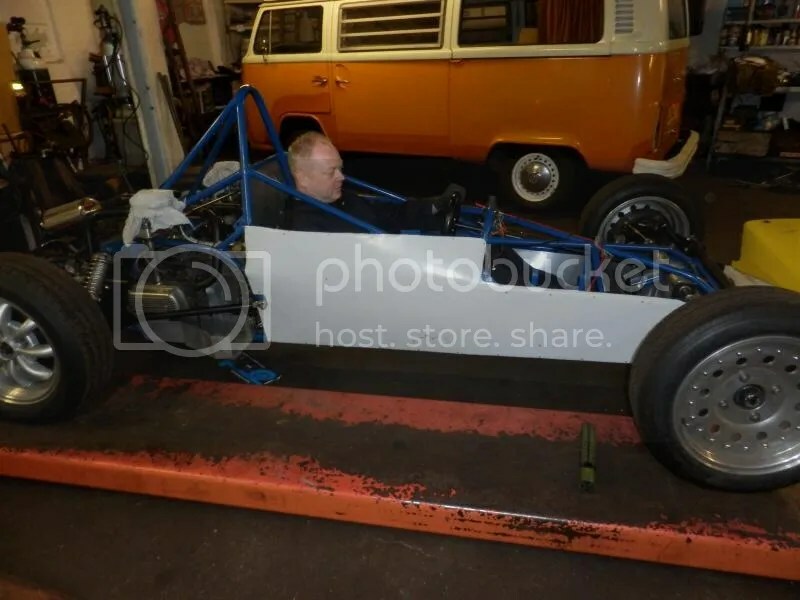 Whether this is pure greed (the rules to use HANS are ONLY for single-seaters), or because, as these represent a minority of racing series and smaller production runs are required, I will make no comment. 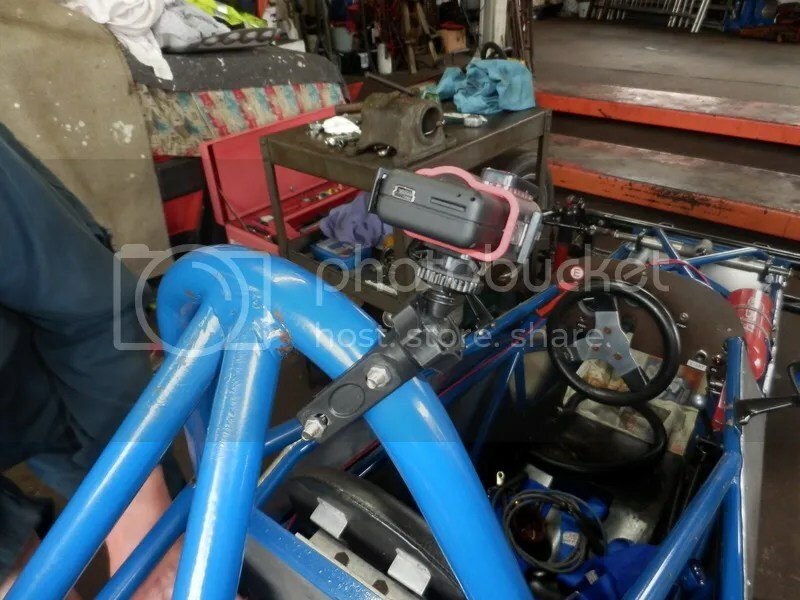 Demon Tweaks were offering an adjustable HANS for around £20 more than the 20 degree model, and as Glenn pointed out, this would mean I could use it with whatever type of car I take on track. Delivery received, I screwed the posts in to my Koden KSC25 helmet, and attached the HANS. You don’t have to be scared about this part. 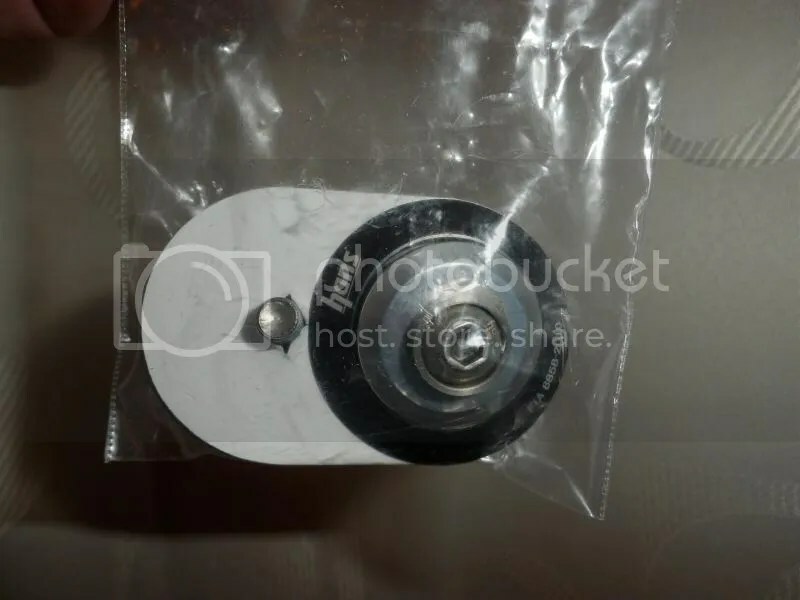 You should make sure that there is some thread locker on the screws for the posts, but mine already came with it on the screws. 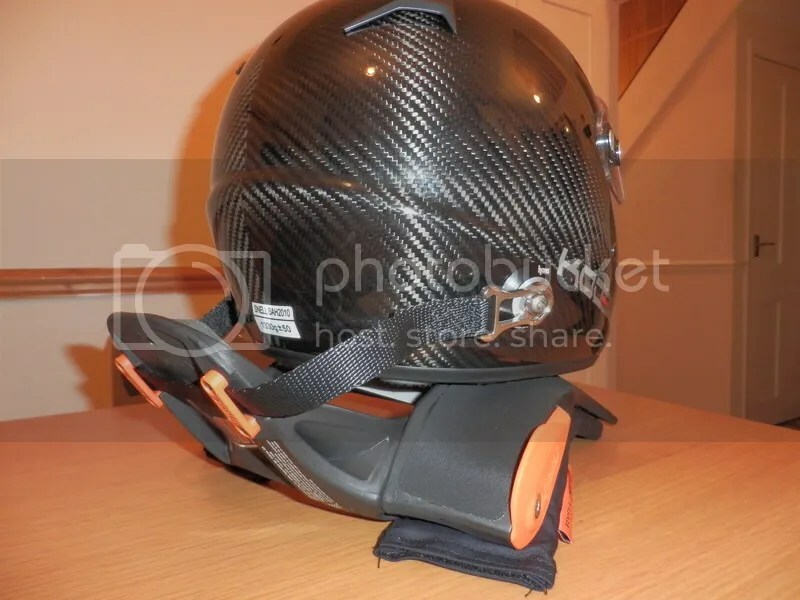 The HANS attaches to your helmet by sliding the attachment onto the post, which is also spring loaded. Nice and easy, and probably something you could learn to do after putting your helmet on… I found I can put the HANS around my neck already clipped onto the helmet, and then slip the helmet on. I don’t really know what we’d have done if we’d found it didn’t all fit in the Sheane, but luckily that wasn’t an issue. I may have mentioned that the head rest in the car may be a little far forward for my liking, and the HANS doesn’t help here – but it’s nowhere near as intrusive as I expected it to be. You’d have to look hard at the pictures to see I’m using one, once it’s all belted up. 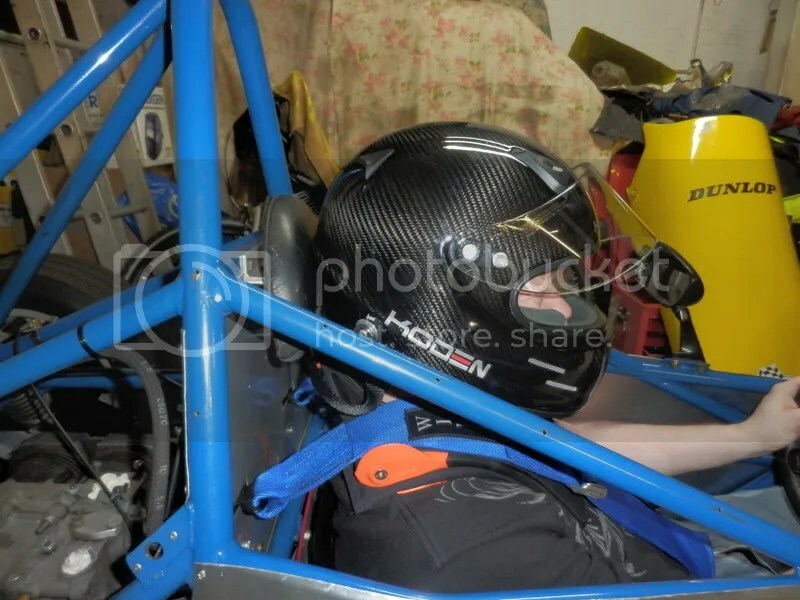 We may use a smaller bracket for the head rest, but were most likely going to do that even without the HANS. 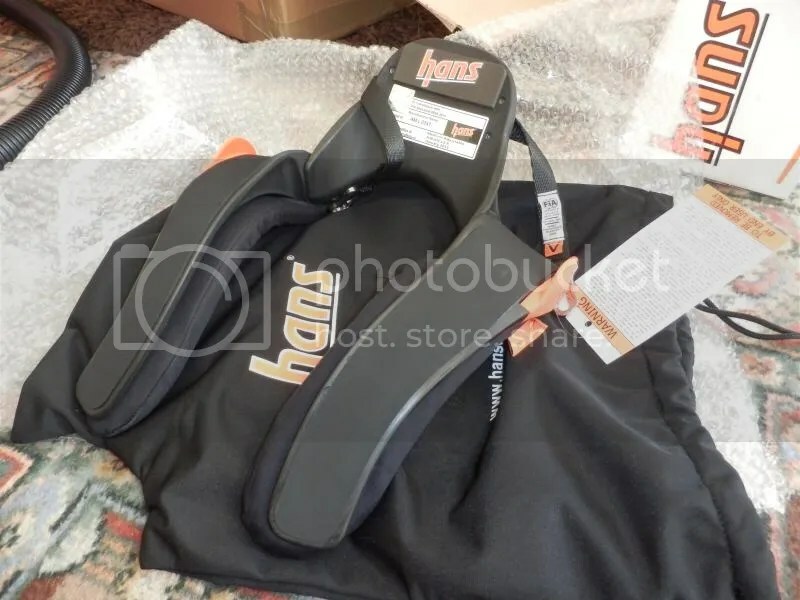 You CAN feel you’re wearing the HANS when you first put it on, but you wouldn’t call it uncomfortable. By the time you’ve adjusted your belts and pulled them tight (making sure it sits right), you’ve already forgotten you’re wearing it. It makes absolutely no difference to sideways vision or movement, and, as you can see, the tethers are very slack when it’s all in place. You have to lean your head pretty far forwards before you feel them do their job. 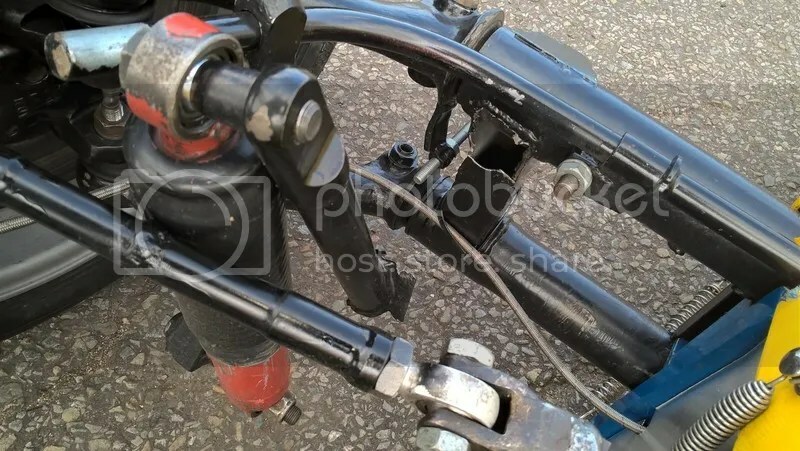 If you’re using 3″ belts, they don’t quite fit over the guides, but the safety documentation says as long as the excess belt is riding up the neck side of the device that’s perfectly ok. We may decide to adjust the belt mountings inwards a bit more behind the seat, but I think it is workable how it is. Other than that there are no dramas! 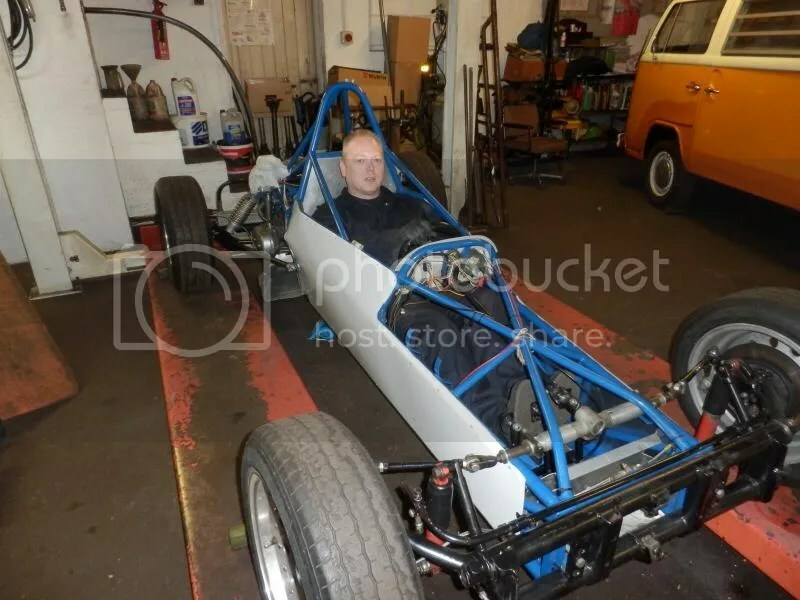 We’ve brought an old Sheane Formula Vee up to modern safety spec, and now I just hope that we do it justice. And with any luck, we won’t even have to make use of the proven life-saving capabilities of a HANS device. 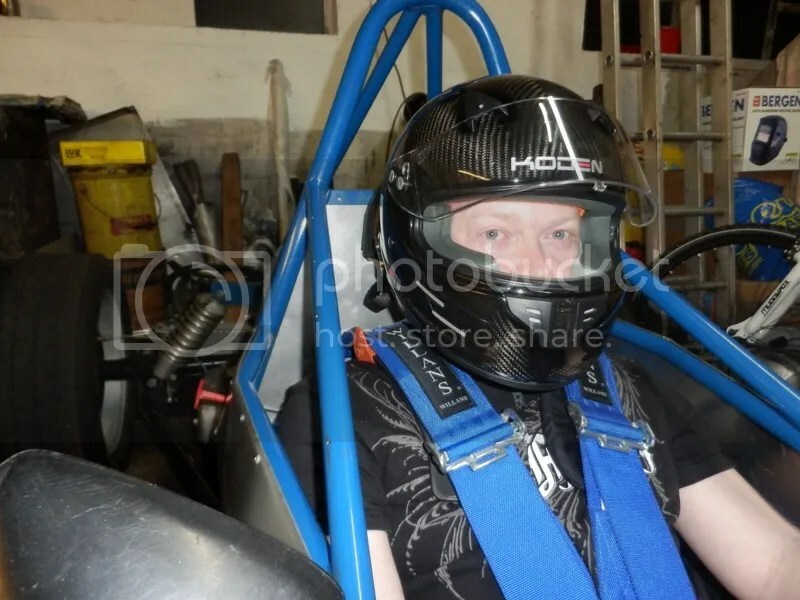 So, you may have noticed my posts dried up about my start to racing. 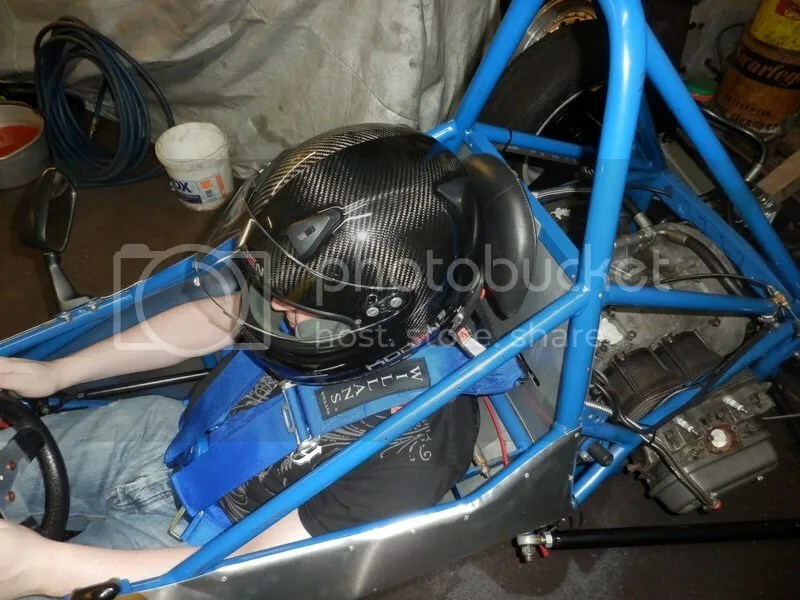 I didn’t crash and explode in my first race, or anything exciting – in fact, I had to write off the 2013 racing season. 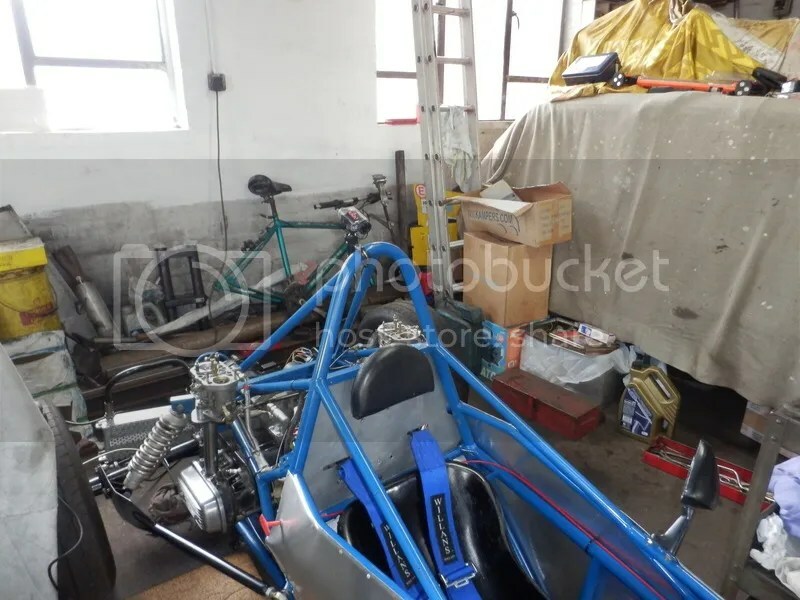 The Ray and the Sheane Formula Vee cars are both still in pieces. 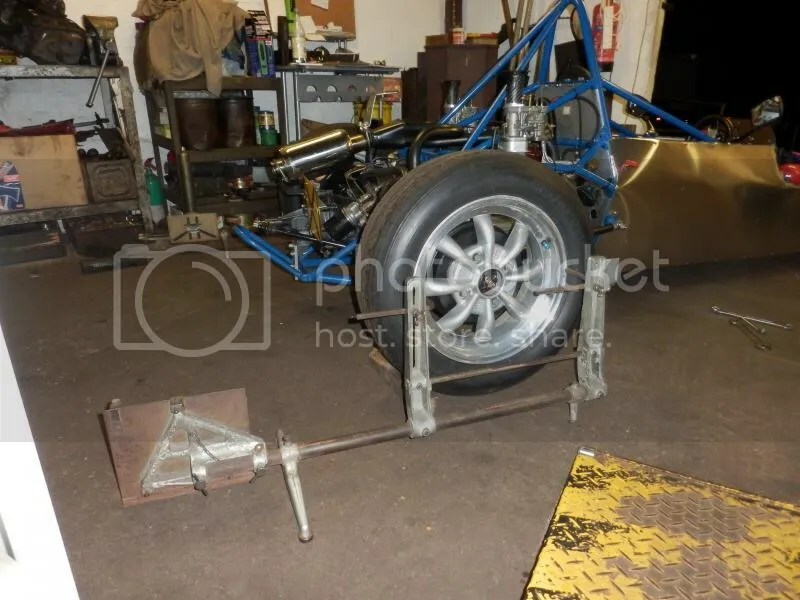 The Ray, from the Mallory Park crash at the end of 2012, and the Sheane because we’re dropping the ride hight at the rear, and adding some extra strength to the rear of the chassis. 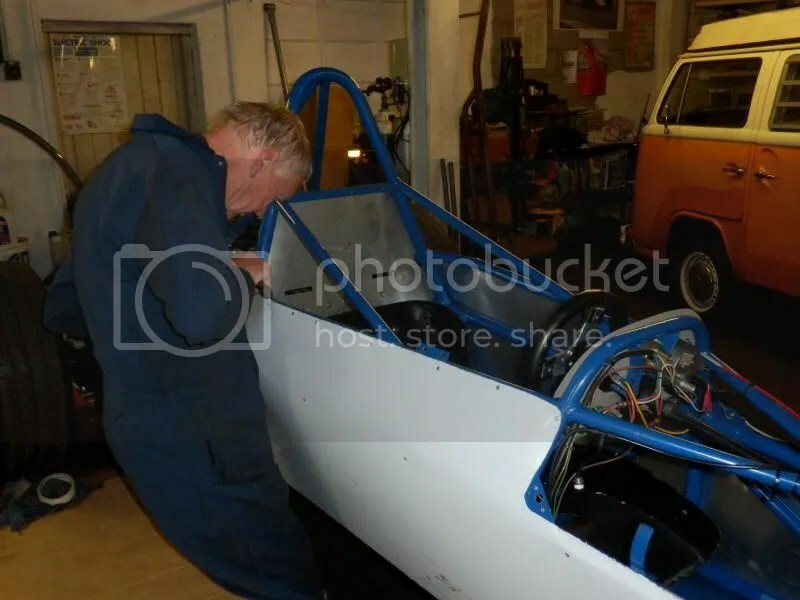 This all would have been done and dusted, but unfortunately, ‘life’ got in the way a bit, and due to work commitments and illness of family members, Glenn hasn’t been able to do as much to the cars as he’d anticipated. Whilst this is frustrating for me, I fully understand and support his decisions. He’s giving me an awesome opportunity to drive one of his cars, and so I’m more than happy to wait until next season. 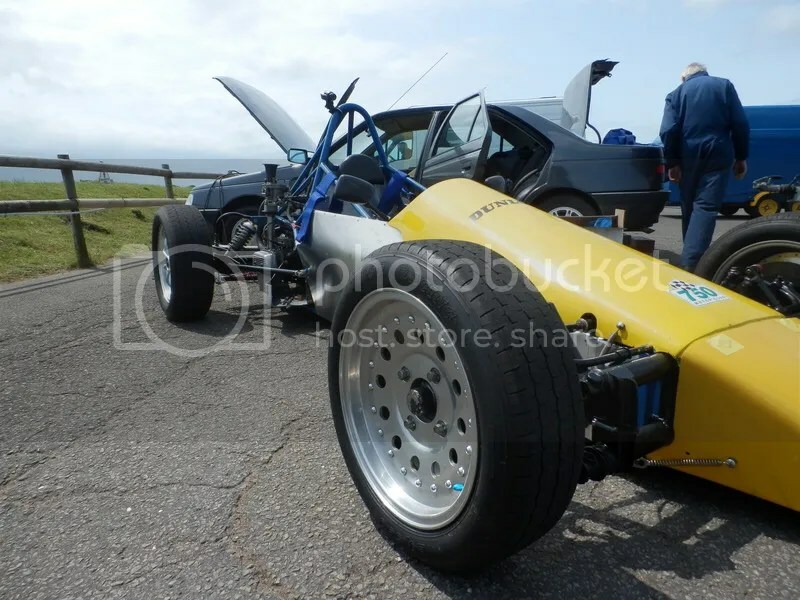 I’ll also have more budget for a proper attack at Formula Vee, rather than maybe a single round or two. 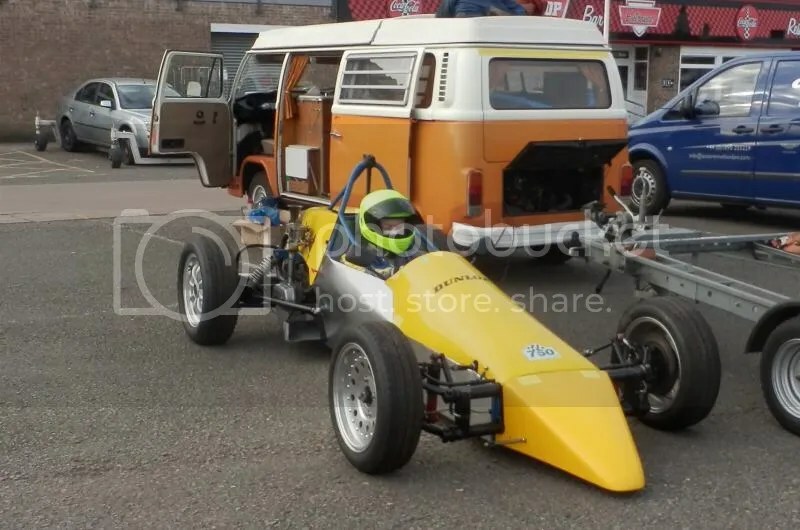 Formula Vee has been in a bit of turmoil for the last few years. It’s not something I want to go too deeply into here, because it feels wrong to talk about this to ‘outsiders’. Basically, some competitors have been taking some liberties with the rules and/or the outright spirit of Vee as a cheap and tightly controlled series. Many felt the 750 Motor Club were sorely lacking in the way it was all handled. It’s no secret that a lot of the competitors were unhappy, and I know for a fact that this all contributed towards a lack of motivation with Glenn as well as some of those competitors. 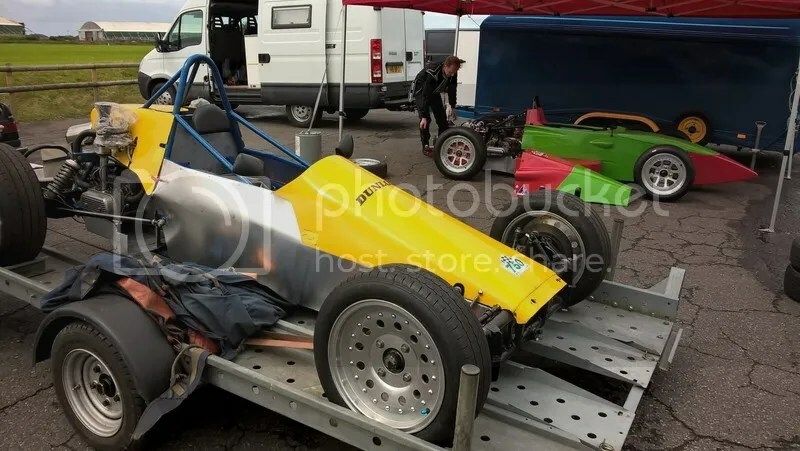 However, I am now pleased to say that rules have been clarified, changes have been made, and the future for Formula Vee looks great, once again! 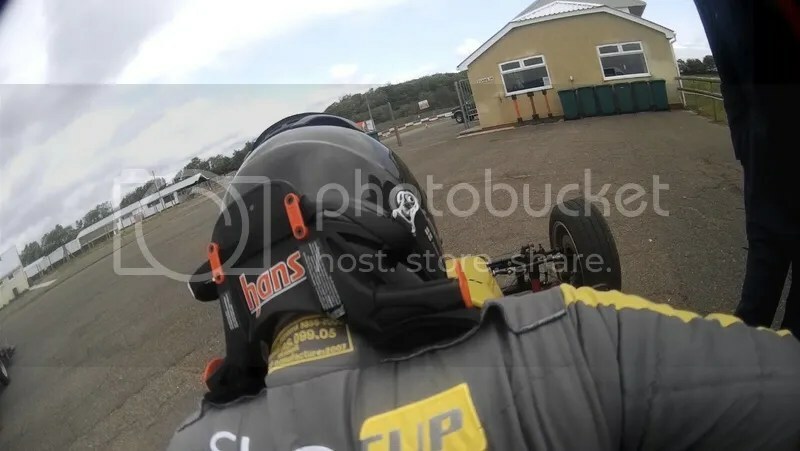 I’ve been to a few rounds this year, and found that rather than seeing any of the racing that I’d paid for, I spent the whole days chatting to other drivers and people from the Vee circles – literally only watching the Vee races when there was nobody left to talk to as they were on track. The worst thing about this, is that I really bloody enjoyed it! Looks like I’ll fit right in with them! 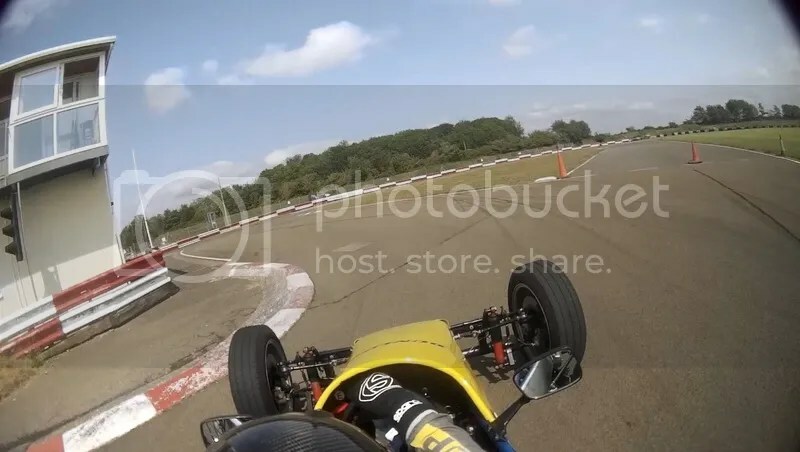 I have kept up my gym membership, and although I haven’t even been karting for a long time, I find visualising the view from a Vee cockpit when I’m running on the treadmill gives me a massive burst of energy. It’s why I’m there, and if I can lose a few stone it can only be a good thing. So for 2014 my eyes are back on the target. 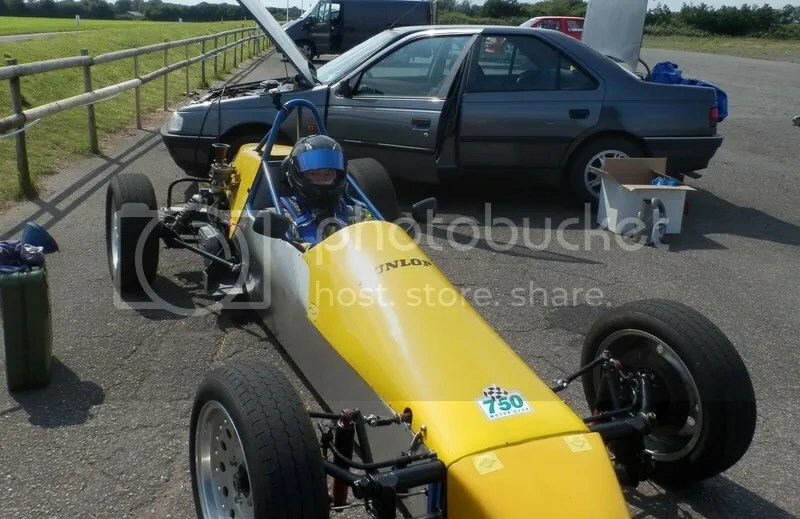 There will be a race in June at Castle Coombe, which may be a good target for my first race. It’s also Rob Cowburn’s home race, so hopefully he’ll be back in the car and we can do a 1-2 finish! Either way, I still want it. In the worst possible way.